Diane Irvine Duncan, M.D., FACS, is a plastic surgeon with multiple international affiliations. Her area of special interest is the development of new, less invasive techniques for aesthetic enhancement of the face and body. She has new journal articles coming out early 2012 regarding techniques for achieving nonexcisional skin surface area reduction. 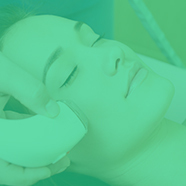 The potential for achieving real results-- excellent smooth contours without excisional scars-- is something of interest to patients of all ethnicities. Does non-invasive RF have any effect on pendulosity of upper arms? Nonsurgical neck rejuvenation : will ultrasound be the winner ? Aging body parts: which treatments to choose?